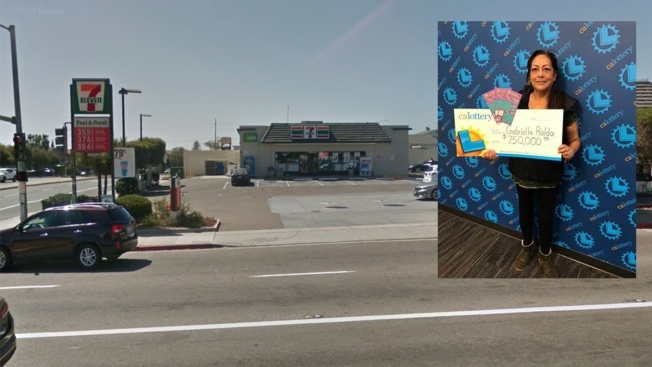 Chula Vista resident Gabriella Ralda won a cool $750,000 with a lucky lottery ticket she bought at this 7-Eleven on Hilltop Drive. Two San Diego-area residents recently won a lot of scratch by scratching off a couple of very lucky lottery tickets. Ralda, pictured above, purchased her winning ticket a 7-Eleven store at 1482 Hilltop Dr. in Chula Vista. She has claimed her prize with the lottery office and will receive the payout, less federal taxes, California Lottery officials said. Meanwhile, De Los Reyes bought his prize-winning ticket at a 7-Eleven store at 1469 State Street, near San Diego’s Little Italy area. He has also come forward to claim his winnings, lottery officials said. The California Lottery said the 7-Eleven locations will each collect a retailer bonus of $5,000 for selling the winning tickets.